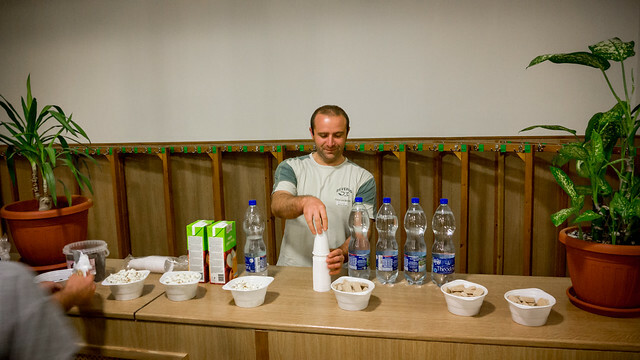 Above: Sándor, the president of the Baptists’ non-profit organization made a special visit to our school in Petofibanya for a thanksgiving celebration. 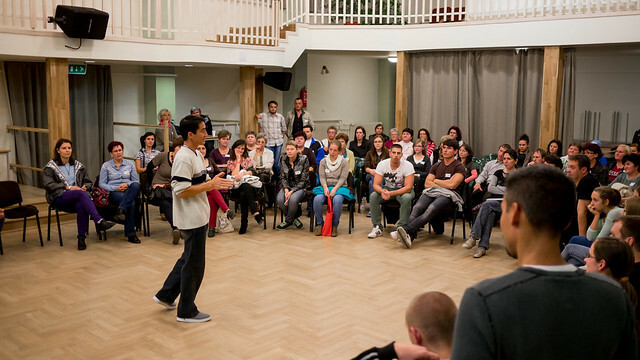 Above: Sándor shared his life story and how his journey led him to a personal relationship with God. At the end of his testimony he asked if there be any who were interested in pursuing God, “If God was real”, to stand to their feet. The majority of all those in the room stood. There were not only kids of all different ages who attended but also parents. It is clear there is a deep spiritual hunger and we know that Jesus is the answer to that hunger. Unfortunately, the response was not all positive. Many parents were offended by what Sándor shared and we’ve been working through the aftermath over the past week. We’ve been striving for peace and seeking to keep bridges in tact to continue to share the Gospel with many who remain atheists. Please pray that the seeds planted through this outreach in the childrens’ hearts would flourish. Pray also for wisdom and for doors to remain open to share the Gospel in our hometown’s middles school. We asked for prayer for our drivers license test a few weeks ago. Well, to make a long story short, the seven of us showed up at the office where we were to take the test. We all arrived early and waited for the doors to open. The man overseeing the test finally came and began calling out names to enter the room for testing. One by one, the room emptied while none of our seven names were called. As he finished and lowered his clipboard I inquired about what was happening. He told us that we were scheduled one hour earlier. Apparently, our driving school instructor gave us the wrong testing time… oops. We then headed to the adjacent office having to reschedule our testing time. After a few hours of waiting, we finally have it rescheduled for December 10th. We ask that you pray for us, that what we studied and prepared for would be retained for this upcoming test. 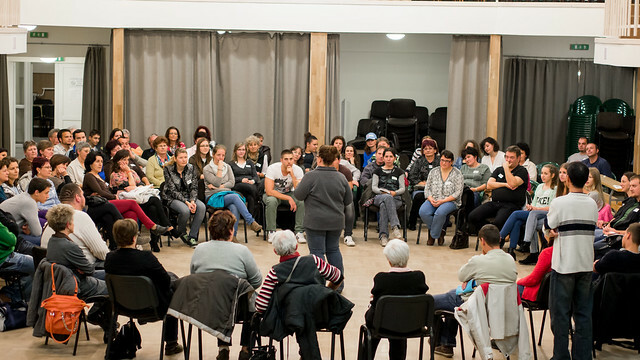 In our last update, we shared that over 60 people (probably closer to 80) came to our first english club meeting in the town of Jaszfenyszaru where we are seeking to plant a church. We have since met two more times and the numbers have not dropped off. We’ve even seen new people show up that their friends have invited! Above: Roger, our mastermind behind getting us ready for teaching our various classes each week helping a beginner class. Above: Brenda helping as we break the larger group into smaller numbers for more interaction. 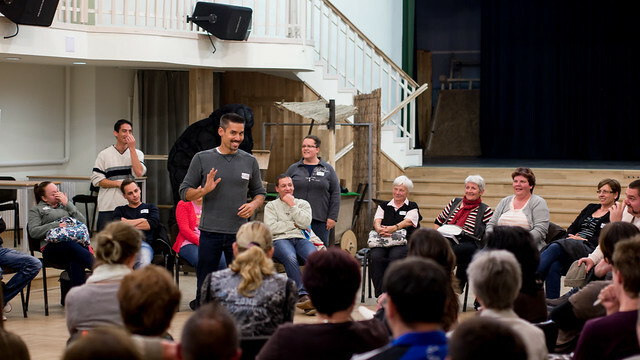 Above: Zsolti (joel-tee) is a church member who lives in Jaszfenszaru and is part of the core group planting in this town. As our team meets for planning and prayer we are seeking for ways to be most effective in sharing Jesus with our students. We are already planning a Christmas party at the end of December and look forward to use that time for more testimony about our Savior. Right now, we are taking advantage of the impromptu conversations at break time. 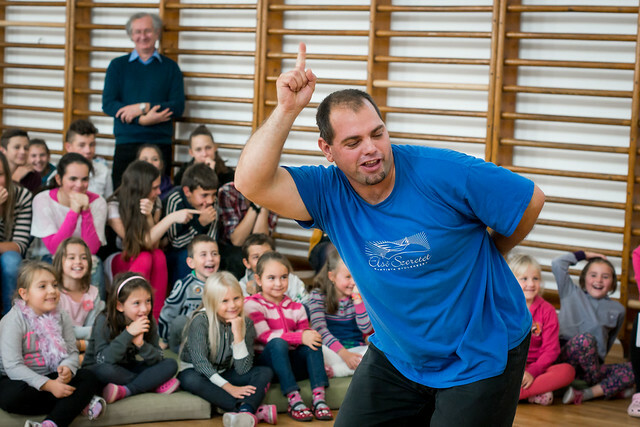 Last week one young man named Attila asked me, “So how did you end up in Hungary?” I love this question! I was able to tell Attila about my faith in Jesus Christ and brief stories about how He directed me in my life. It was clear that he was intrigued and shared how he also was at a time of great transition. Please pray for more and more of these open doors to share the hope that we have in us. Praise God that He worked out the logistics with the number of students we have and there has been a positive response. Christmas puppet ministry starts Wednesday! 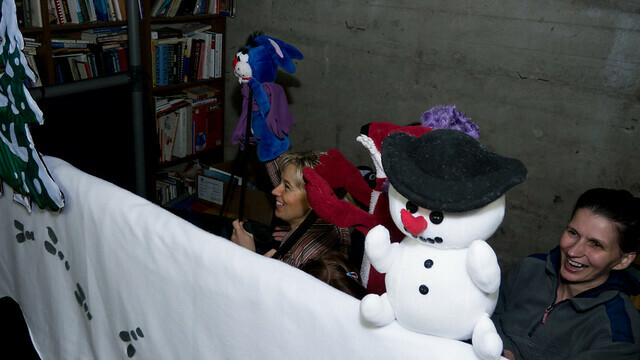 Above: Erika and Hugi practicing this year’s Christmas puppet show in our basement. This year we praise God that we have enough volunteers for two teams which helps us reach more schools and takes the burden from falling on just one team. We have a record 29 schools that we’ll be traveling to and we need prayer for this important evangelistic ministry! Our first show is this Wednesday. Above: Last week we celebrated Ziva turning three. You can see her in her preschool class above ready to devour her cake. 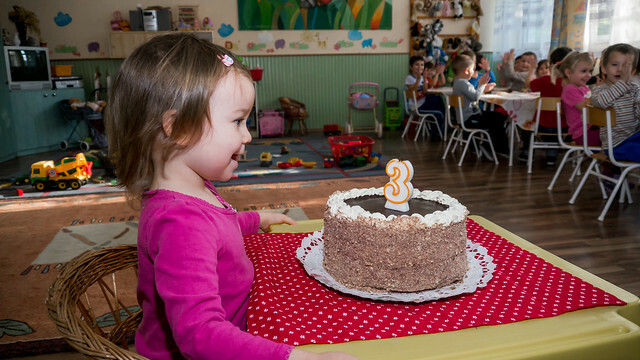 Above: Hungarian tradition has the person celebrating the birthday distributing the cake first. 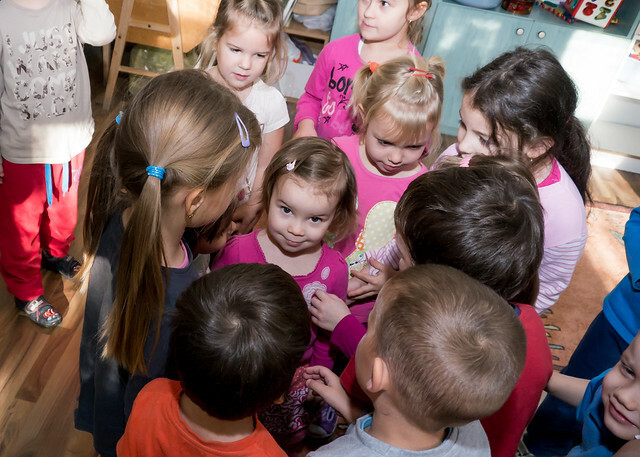 Above: Kids in preschool wishing Ziva a happy birthday. We’d appreciate prayer for Ziva as she has been coughing and feverish today. Please pray for complete healing and a good night’s rest. Thanks for your continued prayer and financial support! 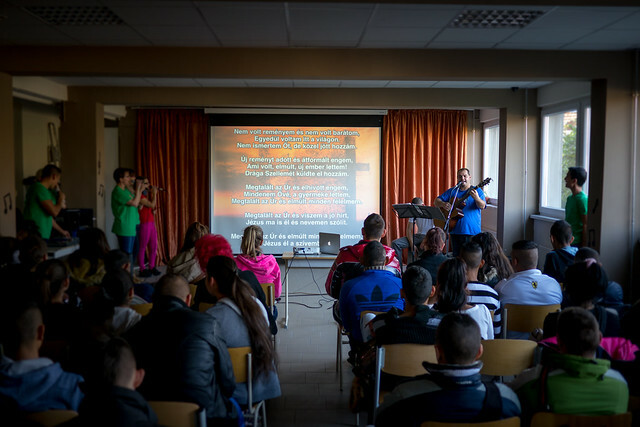 God is doing great things in Hungary and we are grateful for all of you that partner with us in this ministry. Above: Surprise! 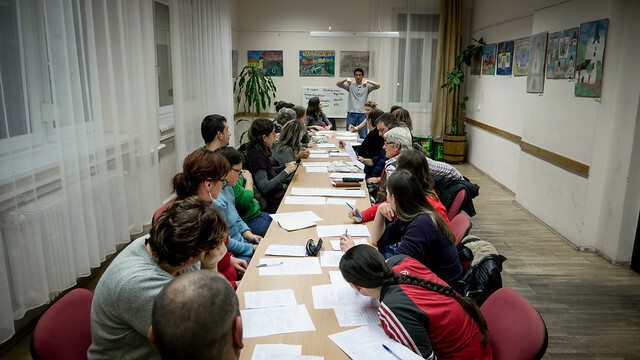 Instead of the normal turnout of 15-20 people showing up to the launch of an English Club, we had over 60 people show up in the town of Jászfényszaru. 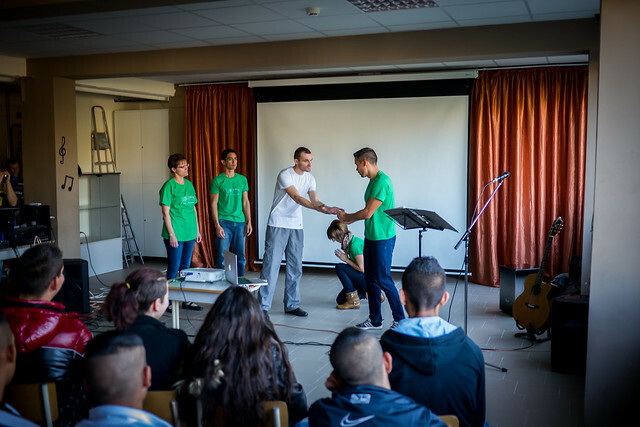 Since our team began initial Bible studies around two years ago in Jászfényszaru, God has been steadily opening doors for the Gospel. 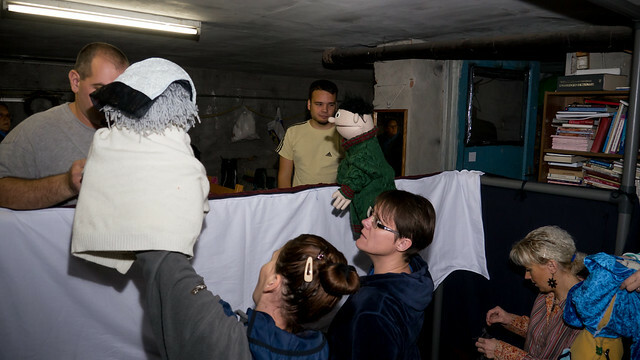 The public school invited our puppet team a year ago which then led to open doors to teach Bible classes in the school. Later we held a camp for teens in the area and have also met with some young men playing soccer every week. We then planned to begin an English Club to bless the community and to develop more relationships to share the Gospel. We had no idea that there would be a line outside of the building the first night with both elderly and young adults wanting to attend the english club! Above: After a time of testing to place the students in different levels for English, we broke off into small groups for basic ice-breaker activities. Above: Although this number of people is a blessing, it also poses a challenge to how we facilitate the club with just three teachers (Roger, Brenda and myself). We don’t know what to expect next week since this was our first meeting. The number could drastically drop off, or it could even increase if people bring friends. In any case, we would appreciate prayer for wisdom in structuring our time with all those who attend. 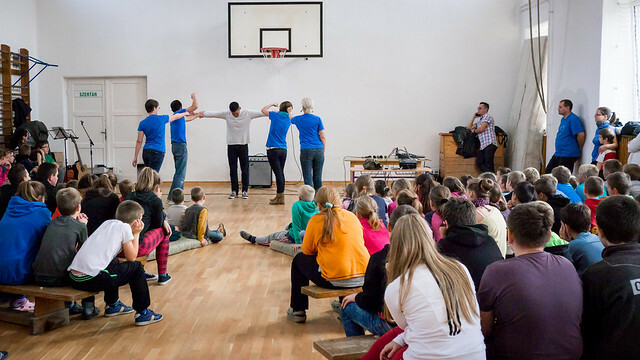 And please pray that God would use this as a platform to share His gospel and spread His Gospel through Jászfényszaru. 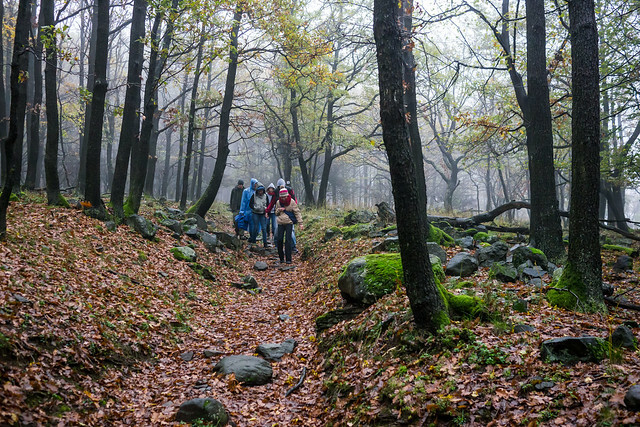 In Hungarian culture, one of the first hurdles to get past in sharing the Gospel is the issue of trust. No matter how accurate the message, Hungarians tend not to hear anything if they don’t trust you. There is a high level of suspicion built into the culture. This english club breaks down the lack of trust as they meet with us once a week and hear about our lives as believers over a period of time. We have seen time and time again that this leads to people being ready to truly listen when we proclaim Jesus. 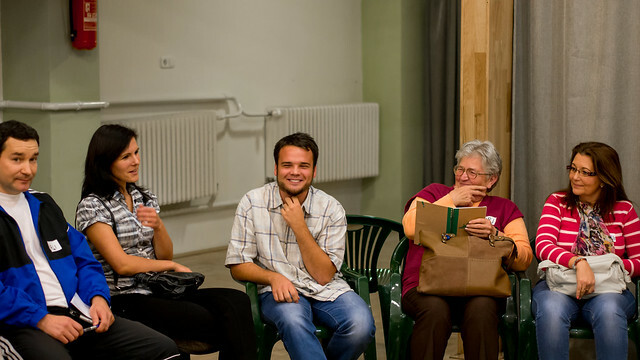 Above: Zsolt (center) who lives in Jászfényszaru has been a member of our church in Petofibanya for a few years. 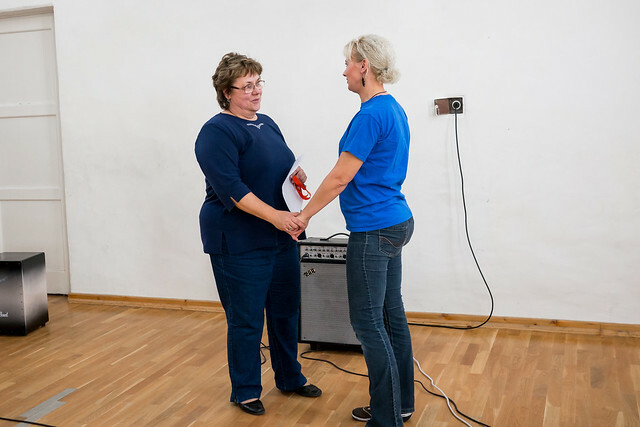 Zsolt and his wife Zita have been hosting Bible studies in their home in Jászfényszaru and are part of the core-team focused on churchplanting in their home town. Above: Teammate Erika talking with Petofibanya’s principal before our presentation. 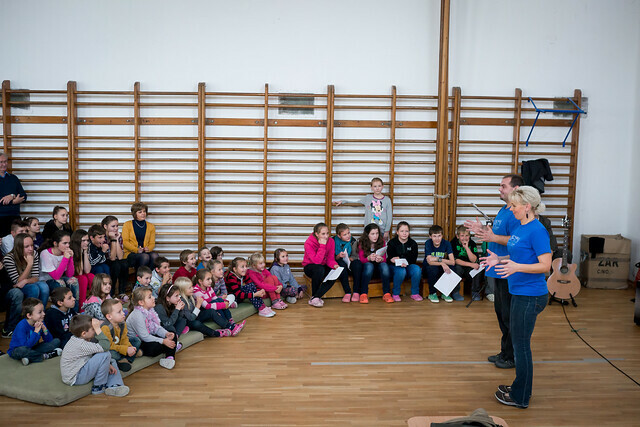 Last week, we were invited to two different schools to help in celebrating the Reformation. A friend who serves in these two schools (our very own local school in Petofibanya and another in the town of Hatvan) organized the events. It was a great opportunity to share Jesus with teachers and students. Above: Miki and Erika performing a drama about how people have misconceptions about God. In the end they present the true Lord and Savior Jesus. Above: Our drama team from church presented a short drama about the rebellion of man, rejection of Jesus and the amazing and gracious opportunity to be saved through Him. 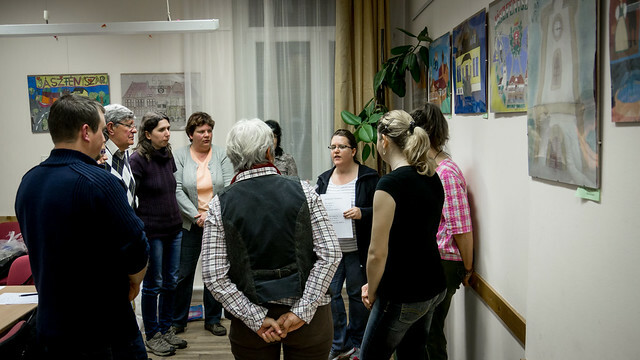 Above: Photos from our Reformation presentation in the town of Hatvan. Some of these kids in this high school remember us from our puppet shows when they attended middle school. Praise God that seeds of the Gospel continue to be sowed into their lives even after middle school. 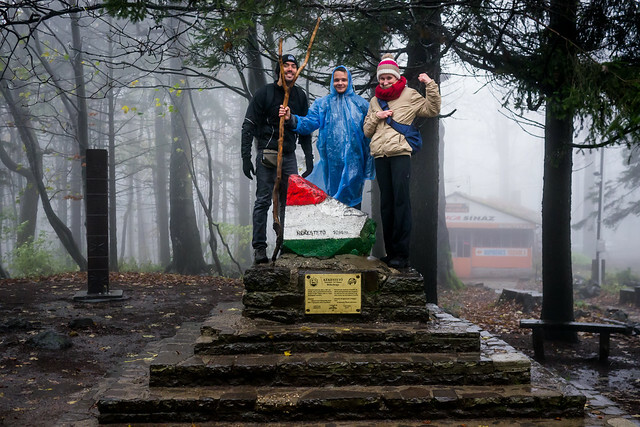 Above: We took some church members to trek out to Hungary’s Blue Mountain (Hungary’s highest: 3,327 ft above sea level) for a refreshing hike. Above: Reaching the highest point. 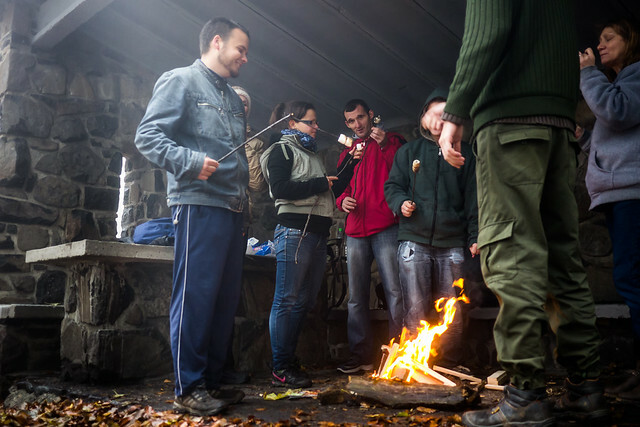 Above: After successfully reaching the peak, it was time to to start a campfire and toast some marshmallows. Thankfully with the slippery conditions, we had no serious injuries. It was a great day. We continue to commute to the town of Bogacs (an hour away) once a week. Pujka, the father of the household continues to grow in His understanding of God’s truth and in his faith in Jesus. His wife Katyus has been opening up more and more as well. 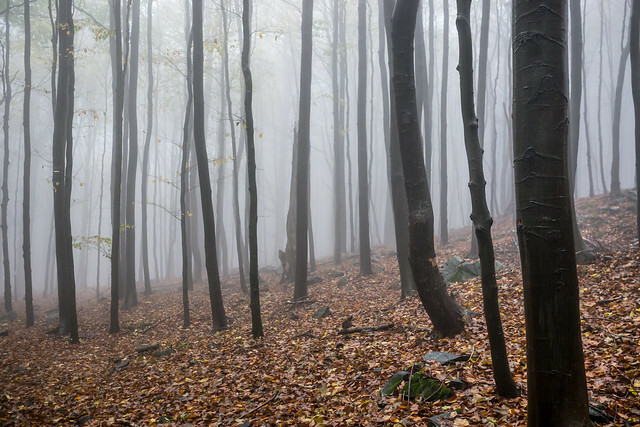 Last week Katyus shared with me one of her struggles that I perceived to be spiritual. When Katyus wanted to pray, she felt physical oppression, or pressure. It was hard for her to explain. She said she would begin praying but in the midst of her prayer, this oppression would come upon her and restrict her from continuing. It was as if she could never finish saying what she wanted to say to God. As I prayed for her that night that Jesus would set her free, Katyus explained that she felt the oppression lift and leave. Katyus also shared that she has a serious medical condition. It was causing great weakness and pain when she bent over. I encouraged her that we could take this request for healing to God who is merciful and powerful to help. This week, as her husband peered over smiling, Katyus reported that she was able to pray a complete prayer for the first time. She also said that the pain she had when she was bending over ceased and she had so much energy that she was able to clean up her whole yard without the fatigue she had in the past. Katyus continued to share (in her blunt honesty), “There are times when I don’t even want to think about God, but it as if thoughts are just coming in about Him. It doesn’t matter that I’m doing something else. It is as if I can’t get away from thinking about Him.” I believe this is the gracious work of the Holy Spirit drawing Katyus to God. Please pray for our Romani friends in Bogacs. For Katyus to come to a saving faith in Jesus Christ and for Pujka to continue to grow in his faith. Pray also for his extended family that they also would come to know Jesus as Savior and Lord. Since we are residents of Hungary, we are required to obtain a Hungarian driver’s license. Over the past few weeks we’ve been attending classes with fellow American teammates to prepare for our first exam tomorrow. Thankfully, we’re able to do this in our native tongue as there is a version of the test in English. But, the translation found in this test can be very hard to understand. While we practiced for this test, we found we often knew the answers to questions, but because of the way they were worded, we couldn’t understand what was being asked and the multiple choice answers were confusing. The test tomorrow allows one minute for each question. We ask for prayer that all of us (Allen, Sharon, Brenda, Roger, Heidi, Janet and Val) could pass this driving exam.